With broad experience managing private equity offerings and providing services as an investment advisory representative, Lowell Adrian brings a wealth of knowledge to his leadership position at G5. He is one of the four managing principals at G5 Financial Group. Lowell has been involved in the financial service industry for over 30 years. He has managed portfolios since 1985 – he was one of the first to charge a fee for service, which takes the product bias out of investment strategy. He specializes in helping individuals manage their investments, works with corporations in strategic planning, developing executive deferred compensation plans and retirement plans, including the 401(k), 403(b) and profit sharing plans. Lowell believes that the short term makes up the long term, meaning a sound investment strategy that addresses issues on a short-term basis will lead to a long-term result. He makes realistic assessments of the economic environment; personal issues such as objectives, time frame, and risk tolerance; and corporate issues. He then analyzes and forges them into a strategy right for the individual or business. 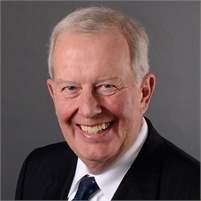 Throughout his career, Lowell has been active on a number of national advisory panels for the financial service industry, as well as active in community and regional not-for-profit organizations as a board member and volunteer. He enjoys sharing information with groups on the economy and life strategies. Lowell received his bachelor’s degree from California State University, Fresno, before continuing on to receive graduate degrees in counseling and theology. He and his wife, Peggy, have two sons, Aaron and Matthew. His role as husband, father, and grandfather has always been a high priority and continues to challenge and reward him. He is registered to offer securities and investment advisory services through Géneos Wealth Management, Inc., member FINRA/SIPC. He also offers investment advisory services through G5 Financial Group, LLC, registered with the SEC.